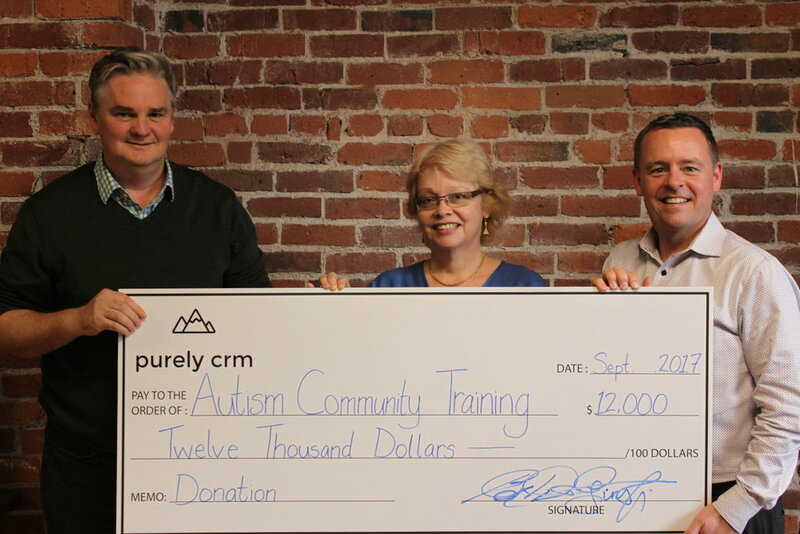 Deborah Pugh, Executive Director of ACT - Autism Community Training, receives a $12,000 cheque from Marty Hall and Alan Ashton of Purely CRM at our offices today. "ACT so appreciates the terrific technical and financial support we receive from Purely CRM - it has been vital to maintaining our free online resources which support thousands of families affected by autism across Canada," explains Deborah. For more about ACT see www.actcommunity.ca.